Winter’s best diversions—doubling up on thermals, watching your breath steam up the window, scribbling through a Sunday crossword puzzle—deserve a proper pair of glasses to bring them into focus. Warby Parker’s new Winter Collection is rustic meets modern: six new shapes in five new colors, including two custom two-toned acetates, in addition to some of our most dependably stylish frames in cold-weather hues. All frames are $95, including prescription lenses. They make good companions for rooting around a bookcase, dashing through the snow, getting up to indoor mischief. The possibilities stretch on as shorter days give way to longer nights. As we watch the current fashion trends, Warby Parker’s style shows that they are spot on. Glasses in deep brown, grey, or plum exhibit some of the “In” WInter Palette we’re watching for Winter 2013. They’re fun, functional, and stylish. My personal favorites are the “Nash” style in Greystone (See above) or the “Welty” in Plum Marblewood. 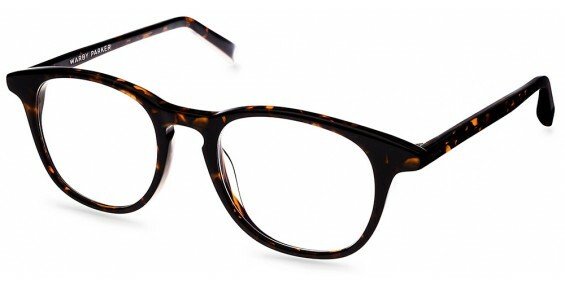 For those of you that haven’t heard about the brand Warby Parker, you need to. Already an advocate fan, I myself have purchased a few pairs of glasses from the brand. That’s right, a few. Warby Parker’s brand message “We believe that everyone has the right to see” goes back to the idea that glasses shouldn’t cost $300. Instead, most of the frames are around $95 including the prescription glasses However, that’s not my favorite part about Warby Parker’s brand. Their message exemplifies the thought “look good and do good”. Warby Parker states on their website that almost one billion people worldwide lack access to glasses. This means that 15% of the global population cannot effectively learn or work – a problem that Warby Parker is determined to address. They’ve partnered with non-profits like VisionSpring to ensure that for every pair of glasses sold, a pair is distributed to someone in need. So, instead of buying one pair of glasses for $300, you’re buying a pair for a third of the price AND giving a pair to someone who needs them. Talk about a win, win! Find the collection online at warbyparker.com and at Warby Parker stores and showrooms.